First, when will you need the money? The main benefit of having a Roth IRA is the tax-free compounding effect. One of the keys to this ‘eighth wonder of the world’ (Albert Einstein) is TIME! You need to have a period of time to get the maximum effect of compound growth. Although there is no rule of thumb, per se, the longer you can leave the Roth to grow, the higher the benefit to you and your beneficiaries. Remember, there is no Required Minimum Distribution (RMD at age 70 ½) for a Roth IRA. It can just keep growing and growing and growing. Second, is taxes. Therein lies the rub. The taxes are due in the year you convert! In general, it is most beneficial if you can pay these taxes from OUTSIDE of the IRA. Simply put, you need to be able to afford to pay the taxes from other funds (not the IRA itself) in order to get the maximum benefit from a conversion. Third is timing. Should you convert all at once? Should you spread the conversion out over a few years? The best plan for you will be dependent on many factors and is unique to each individual. 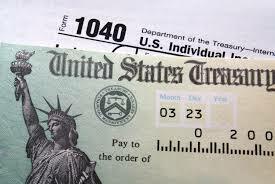 The best time to convert a Roth is when tax rates are low. That is NOW. While no one can predict the future, it is likely that we are enjoying the lowest tax rates in our lifetimes. There is a window of opportunity, right now, to convert. The highest tax rates in the 1970’s, when a lot of current retirees started their IRA’s, was 70%. The highest marginal tax rate today is 37%. Also, the recent pull back in the stock market may present an opportunity to convert while your account balance is lower. If you are going to ‘wait until the market comes back’, convert and pay the taxes on the lower balance now and have the gains accumulate in the Roth tax free. There is currently no income limit to be eligible to convert. This was not always the case. There may come a time when the ABILITY to convert is cut off at some income level. Multi-year conversion- It may be beneficial for some to spread the conversion over the next, say, 5 years. The current tax code that was put in place in 2017, is set to revert back to the prior rates in 2026. This gives us an opportunity to spread the conversion over the next several years and max out our current tax brackets. Simply put, the strategy is to convert enough IRA to Roth each year to stay in your current tax bracket. For large IRA’s, one-time conversions and self-directed IRA’s, there may be ways to get a ‘discount’ on the cost to convert. Timing the conversion for when your stock investments are down was already mentioned. But what if you have an illiquid investment that can be marked down in value inside your current IRA? Most investors don’t realize that their self-directed IRA’s may have illiquid investments that need to be valued every year. This is a more complex strategy that may require advanced planning, but the theory is the same. Execute your conversion when the assets in your IRA are low and the expectation is that they will someday increase in value. General tax reduction strategies- In addition to having the account value be reduced for conversion, you can also maximize deductions on your tax return. There are many tax reduction strategies that can be coupled with a Roth conversion. For example, charitable deductions. If you are making charitable contributions anyway (outside your IRA) and are subject to RMD’s (over 70 ½) you can initiate a Qualified Charitable Deduction (QCD) directly from your IRA. The QCD will not be included in your income and you DO NOT need to itemize. Additionally, if you are not yet 70 ½ you can use a conservation easement to lower your taxes in general. A conservation easement is a charitable deduction that falls under the 50% limitation for reduction of AGI. There are programs available to Accredited Investors that allow for a charitable deduction that is a multiple of the amount invested. This is another way of discounting the amount due to the IRS. In summary, to maximize a Roth conversion you will need a source of funds outside your IRA to pay the tax. It is also advisable to carefully time the conversion. Decide if it is most beneficial to convert all at once or over a span of years. Lastly, there are several discounting mechanisms, both inside and outside the IRA that will lower the taxable value of your accounts and/or lower your AGI in general. As there currently is no income limit preventing Roth Conversion, now if the time for every IRA holder to explore a conversion! True North Resources, LLC, offers investors the opportunity to invest in real estate programs that may bring significant tax-savings, as well as help offset taxes incurred during Roth Conversions.